Tuesday morning update: Charlie Sheen said on NBC's "Today" show that he has been HIV positive for about four years, and is coming forward now to stop extortion attempts by unnamed people in his life. In an interview on NBC's "Today" show, Sheen was asked, "How many people have you paid?" Sheen said, "Enough to bring it into the millions." He agreed with interviewer Matt Lauer's characterization of these as "shakedowns." The payments helped to keep Sheen's HIV status a secret for some time. But there were rumors, particularly in the last two weeks, after Radar Online published a blind gossip item about a "Hollywood superstar" hiding an HIV diagnosis. Original story: Sheen is expected to disclose that he is HIV positive in an exclusive "Today" Show interview on Tuesday, a source with direct knowledge of the interview confirmed to CNNMoney. On Monday, NBC announced that the actor would be making a "revealing personal announcement" on the "Today" show Tuesday morning. 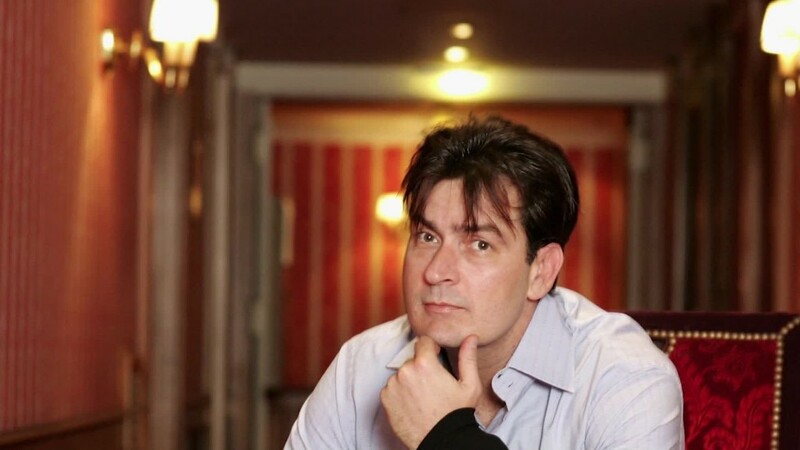 Within minutes, social networking web sites lit up with reports that Sheen was HIV positive. Hollywood public relations specialist Howard Bragman was quoted in People magazine saying that Sheen "is getting treatment, and a lot of people in his life know about it." Bragman told CNNMoney that he was quoted accurately in the People story. "I've known about this a long time, it's not a surprise to me," Bragman, who said he was asked to work with Sheen, told People. "I feel very sorry for his pain. And I hope it's used as a teachable moment for the world. This is a disease that can affect anyone." Bragman said he did not end up working with Sheen directly on his HIV status. Sheen, 50, is one of Hollywood's best known actors, starring in hit films like "Wall Street" and on CBS's "Two and a Half Men." Sheen was fired from "Two and a Half Men" in 2011 following a public meltdown that had the actor lashing out at the show's creator. Among the more notorious points of his career, Sheen entered drug rehab twice and lived with three women. He has been married multiple times to women including Brooke Mueller and Denise Richards and had children with each. His salary on "Two and a Half Men" was one of the highest on TV at the time at $1.25 million per episode in 2010. Sheen did not respond to CNN's request for comment on Monday. The news of Sheen's "Today" appearance -- and the reason for it -- quickly became the number one Twitter trend in the United States on Monday afternoon. Fifteen minutes after the "Today" show tweeted about the live interview with Sheen, the National Equirer posted a "world exclusive" story saying that Sheen had tested positive for HIV. Then TMZ reported that its sources told the site the "Today" show interview would disclose Sheen's HIV status. The Drudge Report put the Enquirer's story at the top of its site with the headline, "Mag: Charlie Sheen 'HIV Positive'" in capital letters. AIDS activists made the case that the news reports violated Sheen's privacy and, in the words of Jennifer Flynn, the director of an advocacy group in Brooklyn, "illustrated how much stigma there still is for people who are HIV positive." CNNMoney's Brian Stelter contributed to this report.